Hi my name is Rebecca Lyman and reading is my passion. In 2013 I set a personal goal to read 50 books, and over the course of the year I ended up reading 60! In 2014 I set a new goal to again read 60 books and ended up reading over 100. For 2015, I have decided to do things a little differently. Most of my goals for the year relate more to my blogging, trying to participate in more book blog memes and write about different book-related topics. I also challenged myself to participate in more reading challenges and read a more varied selection of books. You can see a full listing of my 2015 goals here. This blog will document my journey through a year of reading and also will catalog which books I read through the year. 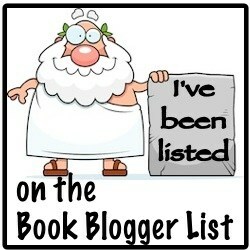 Please feel free to post suggestions or your own reviews on any books discussed! This blog was inspired by my mom, who also started a blog last year (www.joanne94w.wordpress.com), and encouraged by my husband. My mom and I both set “goals” for this year for a personal achievement. Her goal is quilting and I encouraged her to write a blog to document her quilting projects during the year. Once a month we spend a Saturday together both working on our goals. I started this blog not thinking it would last. I didn’t think anyone would be interested in what I thought about the books I was reading. Little did I know that there is a whole world of book bloggers out there and they are all interested in what you have to say. I have developed a deeper passion for reading through my blog (though I didn’t think that was even possible) as well as a passion for blogging. I love writing my reviews and other articles and learning new facts about books and authors. I love the community that I have become a part of through book blogging and the opportunities it is giving me to grow as a person. Thanks so much Claire! I have not yet been nominated and I do not have over 200 followers so I think I qualify. Thanks for the nomination! Tag, you’re it! 🙂 Another Liebster Award nomination for you! Thank you so much Alina, I really appreciate the nomination! Unfortunately, I’m having trouble already keeping up with my blogging this month and since I’ve already done one of these posts I am going to have to pass on doing another one. Thank you again for the nomination though! Happy blogging! Rebecca – thank you so much for reading and reviewing The Vintner’s Daughter! You’ll be happy to know that I just finished the edits to its sequel, The California Wife, which will be published in 2016. I’ll keep you posted, and in the meantime, congrats on reading so many books each year! I love it! Thanks so much Kristen! I have to say I was beyond thrilled when I saw that you tweeted and shared my review on Facebook!! I feel so honored! I very much enjoyed The Vintner’s Daughter, I am looking forward to the sequel!! Thanks again. Rebecca – I’m reading your reviews … and I would be very honored if you would read my book The American Millionaires Have Spoken and give me your honest opinion … If you tell me your address (my email is petra.skarja@gmail.com), I will send you one copy of the book. Hi Rebecca. I don’t know if you interested but I have just Tagged you in The Disney Book Tag. https://chicksroguesandscandals.wordpress.com/2016/01/26/disney-book-tag/. I’ve enjoyed reading so many books these last few years, but sometimes my challenge is a bit overwhelming. Good luck on yours!